Bike racks on the front of buses are becoming a familiar sight around the city, particularly now that they are standard on all Metro services. 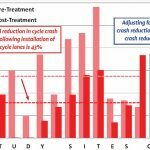 I’m seeing a fairly steady level of usage on the buses travelling around town, but I also know that the idea of using the bike-racks is a bit daunting for those who’ve never tried them before and are worried about getting it “wrong” or taking too long. Occasionally there has been the opportunity to practice on a bus provided for some event (e.g. 2015’s CAN Do workshop), but there was never a permanent place for trying it out. If sustainable transport options are to successfully compete with the traditional car, then integrated transport solutions like bikes and buses together are an important ingredient. Hopefully this rack will make it a little less daunting for those who are trying out this combo for the first time. 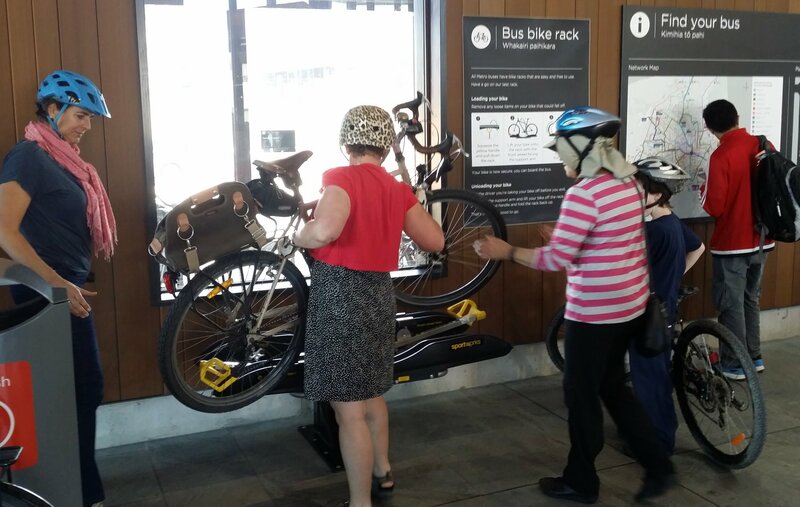 Have you tried out the practice bike rack at the Bus Interchange?